Drug addiction kills over 200,00 people per year. Drug addiction affects many more people than this already large number. A drug addict is not only harming themselves, (though they often believe they are only hurting their selves) they are also causing their family and other loved ones plenty of sleepless nights and a pronounced feeling of fear and frustration. Addiction is defined as a chronic disease of the brain that causes drug-seeking behaviors and the excessive use of substances. Many addicts face severe consequences as the direct result of their use, however, they still continue to use. Drug addicts are physically and mentally incapable of stopping on their own. The first experience with a drug usually results from curiosity or peer pressure. Repeated drug use begins to affect a person’s perception, the ability to reason logically, and self-control. Many people mistakenly and gravely believe that a person who is addicted to drugs should be able to quit based on willpower or having a good enough reason to stop. Lack of willpower is not the reason for continued drug use. Only a strategic treatment plan, including detox, therapy, and inpatient or outpatient treatment can truly address the issue. An addict has no more power over their next fix than a falling object has over gravity. We believe addiction to be a disease that affects the mind, body, and spirit of an individual. We offer a wide variety of therapeutic services for addicts and their families. 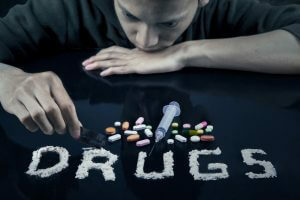 Our staff is highly trained in the field of substance abuse. We offer compassion coupled with expertise to get you on the road to a long and fruitful recovery.